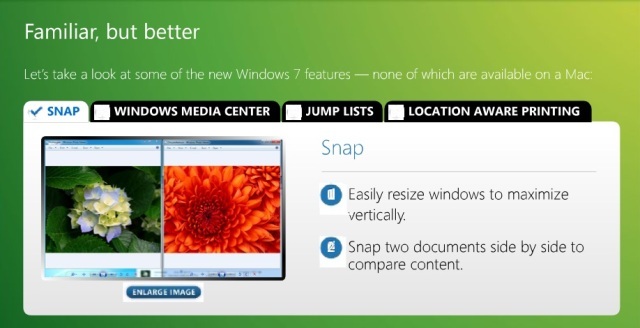 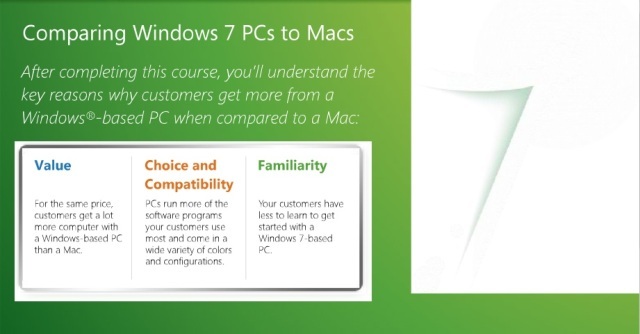 By this time, you might have seen Windows vs. Linux, Ars have unearthed another slide “Windows 7 PCs vs. Macs,” a part of Microsoft training material for Best Buy employees. 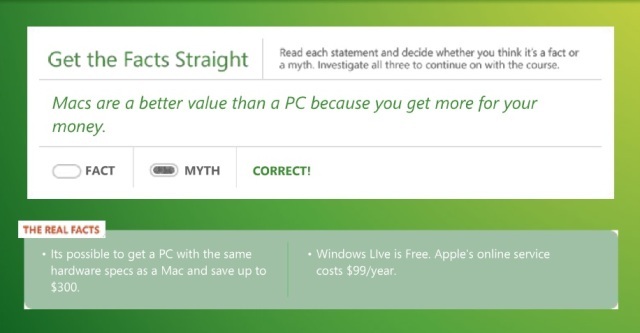 According to slides, Microsoft’s continuing to push a number of the same messages it has been delivering with its Laptop Hunters TV commercials: Windows PCs offer more bang for the buck than Macs. 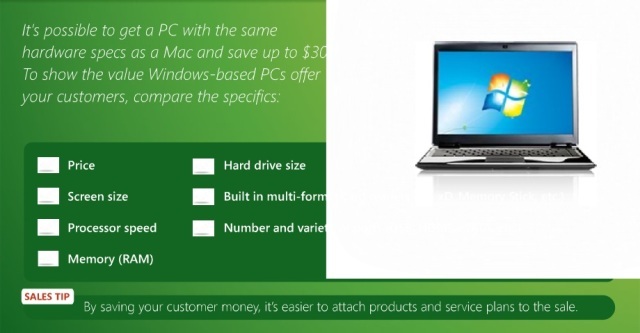 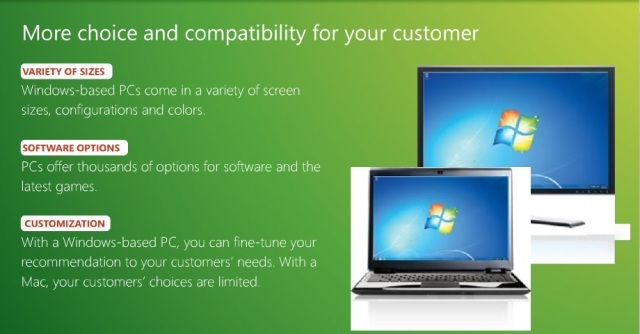 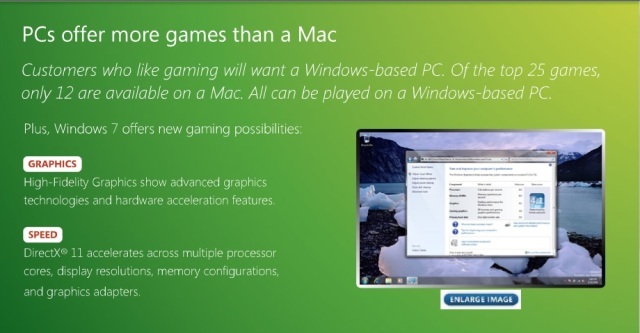 One slide says users can save up to $300 by choosing a Windows machine over a Mac with comparable specs. 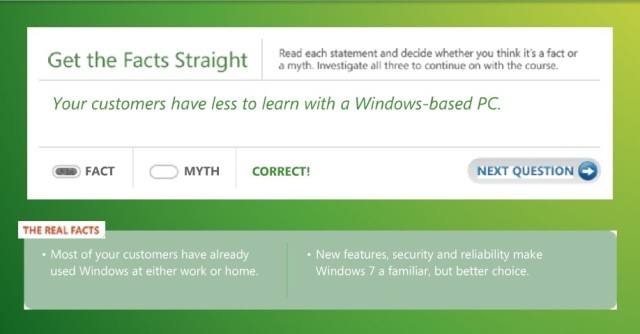 Windows 7 PC beats a Mac just as badly as a Windows 7 netbook beats a Linux netbook. 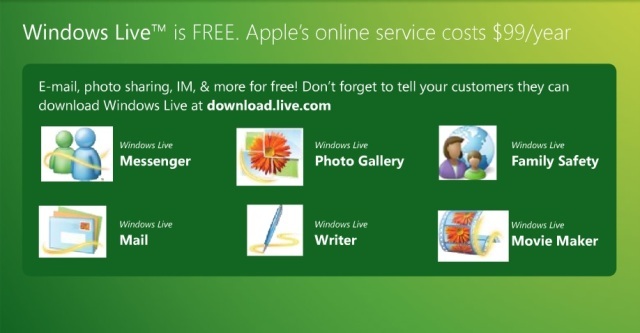 Windows has more software or games available than Mac does”.